This post is written by contributing writer Adrienne Audrey. Paper making is a craft that dates back about 2000 years. Modern paper making has is roots in China. In 105 AD the technique for turning tree bark, rope remnants, rags and old fishing nets into pulp and then sheets of paper was developed. In our modern world we no longer have an appreciation for the art of handmade paper. Machines have taken over the work of skilled artisans and the demand for cheap paper has taken it's toll on the environment by diminishing forests and generating unbelievable amounts of garbage. In the United States less than 5% of our nations indigenous forests remain and Americans generate 160 million tons of garbage annually! Today we are going to learn the basics of handmade paper making. Traditionally, handmade paper has always used recycled materials. We are going take this ancient, eco-friendly craft one step further and create paper that is filled with seeds that can be planted back into the earth, nourishing the soil and growing beautiful flowers. You can buy paper making kits that have the frames pre-made or you make your own. The nice thing about making your own is that you can make it any size you want. An easy way to DIY the frames is to use two wooden picture frames and staple a piece of window screen to one of them. The two pieces you are using are called the mold and the deckle. The mold is the bottom half of the pair with the screen attached and the deckle is the upper open frame. You can use pretty much any type of recycled paper for this project. Old office paper, construction paper, tissue paper and newspaper work great. Try to avoid glossy magazine paper. The color of your finished paper depends on the colors of the paper you use so try to organize your paper scraps by color. Shred your recycled paper and soak it in warm water for up to an hour to soften it. Place the wet paper in the blender and add a little water, then blend to make it into a pulp. Add about one part shredded paper to 2 parts water. Make small amounts at a time so you don't clog the blender. Pour the pulp into the plastic basin. You should end up making enough pulp that would fill your blender and add about 4 more blender jugs of water to your basin and mix it around. You can add your seeds to the pulp at this time. Place the deckle over the mold and submerge it into the pulpy water. Wiggle it around and lift it up and out shaking it slightly to distribute the pulp evenly. Lift the deckle off, flip the screen over onto a baking sheet, Peel away the mold place a towel over the wet paper and roll over your rolling pin to squeeze out the excess water leaving you with a sheet of wet paper on the baking sheet. Let the paper dry thoroughly, It may take a day or two to fully dry. Gently peel the dry paper off the baking sheet. You can get creative and transform your paper into cards, gift tags or whatever you like. In addition to seeds you can also add other things to your handmade paper. Try adding dried flowers, glitter, pine needles or citrus zest. The great thing about this project is that it is customizable. You can choose your seeds based on the season or the theme of a party. How about shamrock seeds for St. Patrick's day, a Mothers Day card using your mom's favorite blooms or wildflowers for an eco-friendly summer wedding? The possibilities are endless. You can make holiday cards, wedding invitations, party favors and much more! Take the seed paper and rip it up into little pieces. Plant about a half inch in the dirt and water. Depending on the type of seeds you used your little flowers will soon be sprouting! Adrienne Audrey lives in Northern Washington on a farm with her husband and a menagerie of lovable animals. When she’s not blogging at Crafty Little Gnome, Adrienne can be found out playing in the garden, experimenting in the kitchen or working on a new craft project. Adrienne also sells handmade jewelry and accessories in her Etsy shop Adrienne Audrey Jewelry. Connect to Adrienne via twitter or facebook. 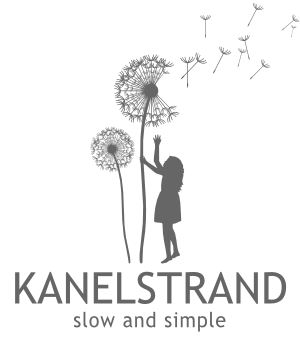 This is a fantastic project! My kids have made paper at school, but I've never tried it. Combining flower seeds is an amazing idea! I am definitely going to try it! I haven't tried making paper either and that is why I got so eager for this project when Adrienne offered it! I would love to try it out as soon as possible! I've made paper before but never with seeds. Love this! I only recently found out about plantable paper and find it fascinating! Indeed, I can only imagine the feeling until I make my first sheet of paper. 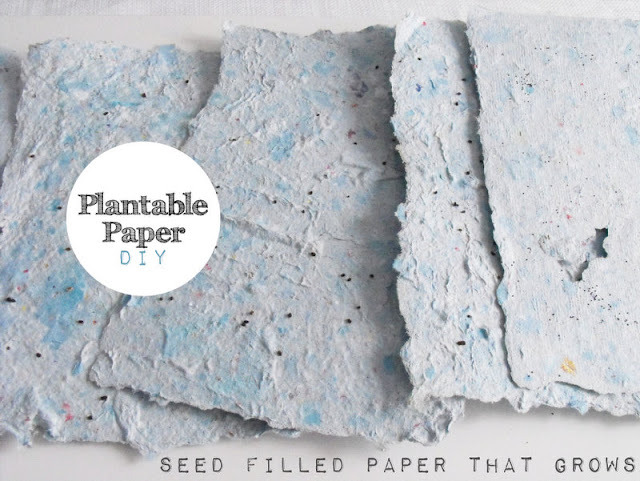 And yes, seeded paper sounds so insanely amazing - great for a gift, I think! I took a paper making class and I really enjoyed it! I love the idea of recycling old paper and transform it into something special. Great tutorial, thank for sharing. Wow this is so cool! I wonder tho.... are you sure the seeds won't sprout before the paper dries? I haven't made paper in quite a few years either, and this makes me want to get back to it. So much fun! What a brilliant idea! Pinned! Have tried making paper into cards. But when i fold the paper in half it rips along the folded edge. Anyone got any ideas why this happens? We love the trifold aspect of this craft: papermaking, recycling, and gardening! We featured your post at our summer fun 101 series: gardening round-up. editors of The Classroom Creative.